 The Gino Park Palace Hotel**** is located in the Upper Váh River Valley, a charming tourist region with many remarkable things to see in features like a national nature reserve, cultural monuments and historic buildings. Together with the options available at Gino Park Palace, you can enjoy a relaxing stay with options for active leisure either hiking or cycling. The hotel staff will be glad to advise you on choosing an excursion or hiking route, providing you with all the necessary information. Ask at the reception desk. 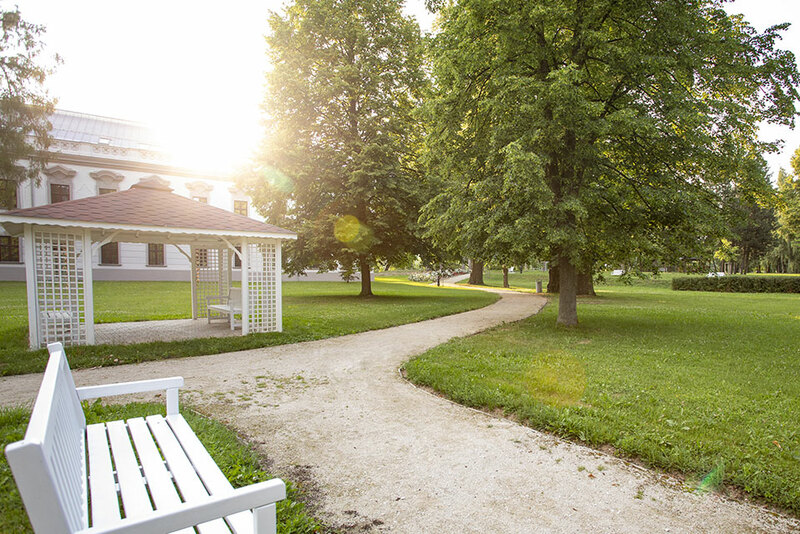 What we suggest: reserve some nights at the Gino Park Palace, where a picnic basket is included so you have the opportunity to enjoy the hotel park. There are badminton, balls and board games available at the reception desk at no charge. Warning: because the park is home to several species of rare birds and forest animals, dogs and house pets are prohibited in the park and smoking is allowed only in designated areas. Považský Hrad (Bistrizza Castle) stands guard over the Váh River at an elevation of 497 meters. According to undocumented stories, it was built in 1128 to protect an important route along the river. As a result of extensive reconstruction, the entire castle can now be reached through a series of wooden walkways, stairways and observation points. The forest path to the castle is not difficult to overcome, either coming out of the village of Považské Podhradie under the castle or directly from the hotel. On the way to the castle, you can stop at a local sheep farm and taste their cheese specialties. Distance from the hotel: 30 minutes walking from the hotel, from Považské Podhradie 5 minutes by car and then 20 minutes on foot to the castle. What we suggest: While walking to the castle directly from the hotel, stop at the sheep farm only 10 minutes away and sample their organic sheep-milk products. Remember to take a pair of binoculars with you in order not to miss the sights that can be seen from the castle. Learn more about the history of this magnificent castle from the display boards placed directly there. The Upper Váh River region has a number of hiking and bicycling trails, especially at Javorníky and in the Strážov and Súľov Mountains. Choose the best route according to your ability. Many of the trails are suitable for family or weekend cyclists. Bicycles can be rented at the hotel by guests at no charge. Degree of difficulty: from easy to moderately difficult. What we suggest: the bicycle route from Považská Bystrica to Zákvašov (17 km) runs along the blue trail, starting from the shopping center in Považská Bystrica at the bicycle trail intersection. From there, it skirts around the edge of town toward Považská Tepla. There are signs to navigate you to the valley and the trail runs along an asphalt trail through the nature reserve along Manín Gorge. The dominant features of the Manín Gorge Nature Reserve are Veľký and Malý Manín, two high peaks along a ridge, and a gorge less than a kilometer long with 400 meters high rock walls on each side. The gorge is the narrowest in Slovakia. 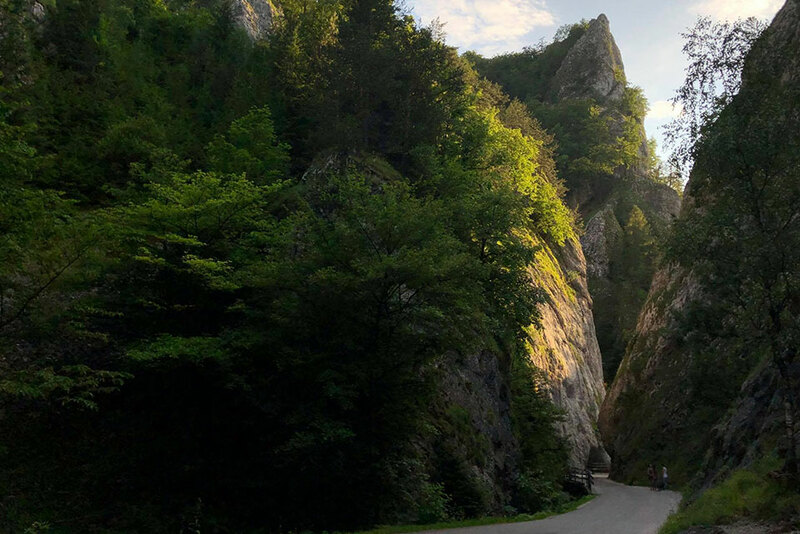 From there it is possible to continue 2.5 kilometers along a marked education trail to Kostolec Gorge (Kostolecká tiesňava) and the largest rock overhang in Slovakia, with an imposing talus cone. During construction, a mineral spring was discovered that became the cornerstone of Nimnica Spa. Continue from this point along the hiking trail to either Holíš Ridge or the nearby shepherd’s hut (salaš), with its sheep products. At Nimnica Spa, try the slightly salty, mineral rich, carbonated water that directly acts beneficially on the air passages. The hiking trail starts off from Nimnica Spa and runs along the blue-marked hiking trail. 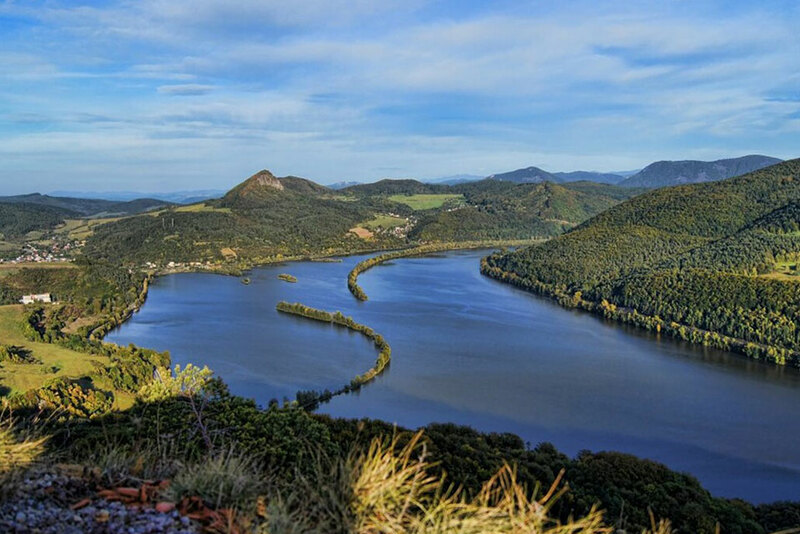 Holíš Ridge (elevation 533 meters offers incredible views of the Nosice Reservoir and above it the Klapy Ridge and surrounding villages. What we suggest: Refresh your feet in the Kneipp therapy foot baths at the start of this pleasant walk through the forest. 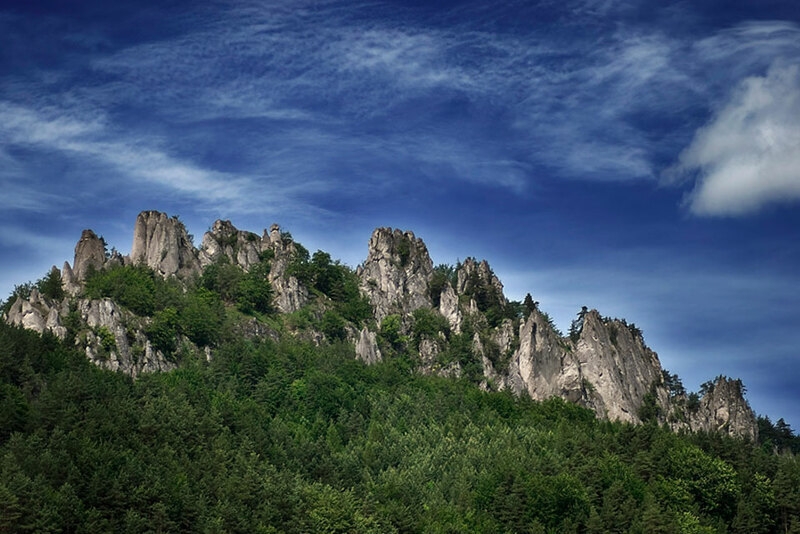 Súľovské Skaly (Súľov Rocks) is one of the largest natural limestone phenomena to be found in the northwestern corner of Slovakia. 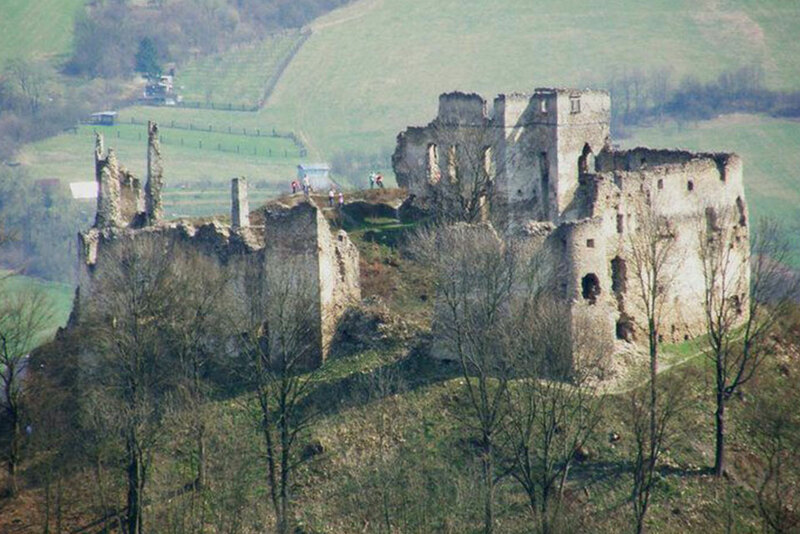 The most mesmerizing feature is the educational nature trail to Súľov Castle (elevation: 252 meters), which can be reached in a two-hour, peaceful walk along a forest path. What we suggest: Súľovské Skaly is one of the largest natural limestone phenomena in the northwestern corner of Slovakia. So don’t forget to bring your camera as there will be plenty of opportunities for wonderful pictures. 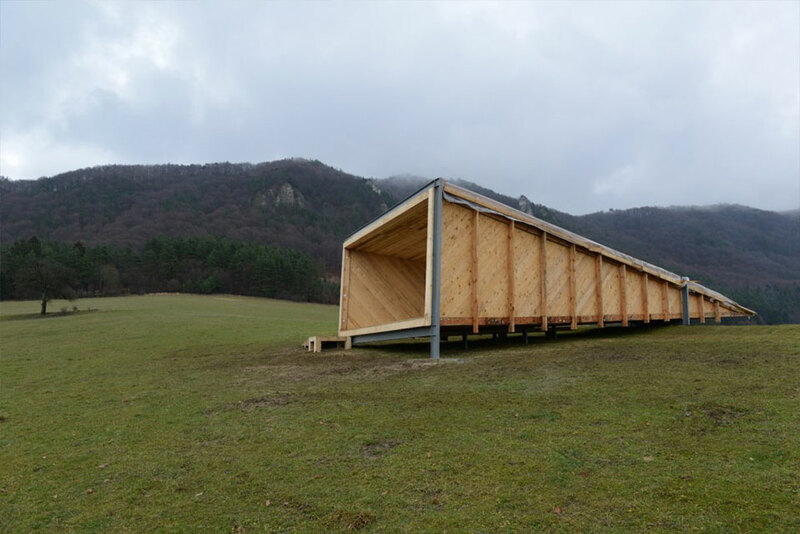 This lookout station, whose remarkable construction attracts many hikers, and not just those from Slovakia, was constructed by artist Juraj Gábor for anyone to stop and look in wonder at what they see. A not very demanding, two-hour hike from the village of Súľov leads to this pyramid-like shelter, along a path lined with beautiful natural scenery. What we suggest: Sit as deep inside the pyramid as possible in order for the picturesque countryside to be framed by the wooden entrance to this unique structure. Put a friend in the image of an unusual portrait. Have a look at the world from the riding saddle. Visit one of several agrofarmas around Považská Bystrica, ride a horse and try traditional home-made products. Lovers of cycling will come to their own thanks to a number of biking trails in the surroundings, side, forest and forest roads leading through the beautiful natural surroundings of Považská Bystrica – Manínska tiesňava, Súľovské skaly. Do you love golf? For all golf lovers there is an excellent option for the game – Golf Park Rajec, which is about 20 minutes away from the hotel. The region of Považská Bystrica is a connoisseur of this adrenaline sport. The most famous climbing areas in the area are Manínska Tiesňava, Kostolecká tiesňava, Bosmany and Prečín. In the surroundings of the hotel you will find well-known Spa Rajecké Teplice, or very healing Spa Nimnica. Nearby Aeroklub offers the opportunity to spend free time in the air and to be enchanted by the charm of the landscape from bird’s eye view. Experience sightseeing flights, hopping, but you can also rent an airplane and take a flying at your discretion. Although Považská Bystrica is not a known ski resort, its surroundings offer many possibilities for spending a winter holiday. The surrounding villages have excellent conditions for skiing, cross-country skiing, sledging or winter walks through nature. Motorcycle sport has a long tradition in Považská Bystrica. Among the many events, the World Motocross World Championship, World Motorcycle Motorscore, and World Championships in the ENDURO motorcycle field competition. It is located in the nearby village of Domaniža and offers ideal conditions for shooting competitions or training for an arms race test. Opportunities to unwind at tennis courts are offered by Prima Sport Complex in Považská Bystrica. 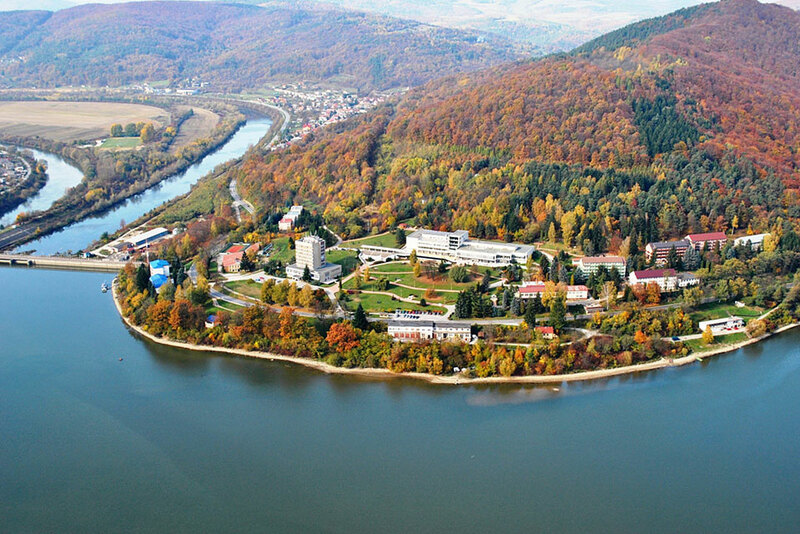 Surroundings of Považská Bystrica offer a whole range of excursions from more demanding tours to romantic walks – Manínska tiesňava, Súľovské skaly. Warm summer days are an excellent prerequisite for the use of water in the district of Bystrá and its surroundings. which was built in 1612 by the Hungarian nobleman Zigmund Balassa.